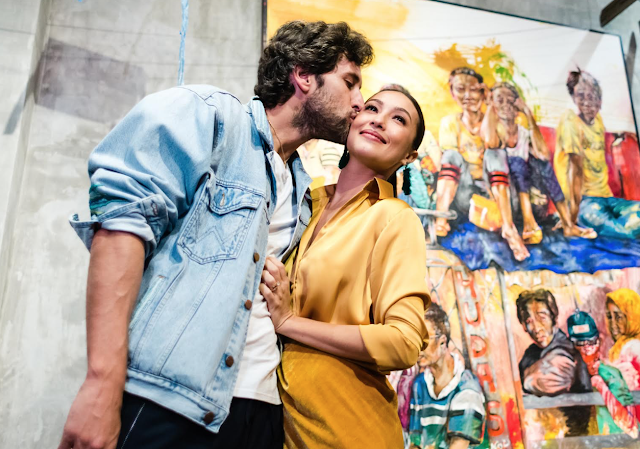 Solenn Heussaff’s vision to turn street life into art comes to life as Globe brings “Kalsada”, Heussaff’s second solo exhibit, to art lovers in Bonifacio Global City. “Kalsada” opened Friday, October 19, 2017 at the Provenance Gallery of Modern Art located in Shangri-La at the Fort. 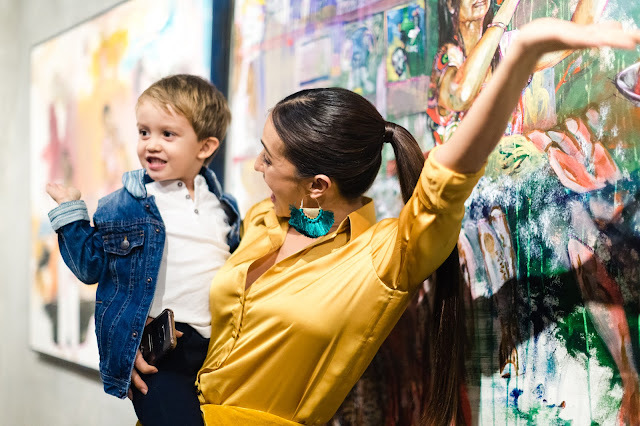 Heussaff describes the exhibit as a collaboration between her and her three-year-old nephew, Kaeden. “The subjects are based on people I’ve seen on the streets, but even if their surroundings and expressions are quite sad, the paintings are still colorful. It was Kaeden who used so much color,” explained Heussaff. 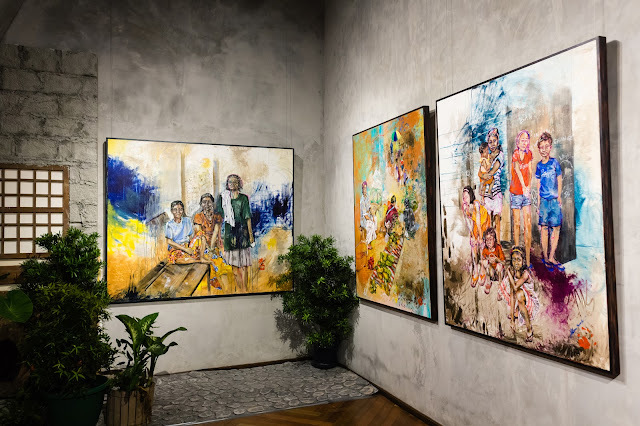 Several pieces in her exhibit were also based after Heussaff’s experience with the children of Biri Island, Northern Samar, whom she met in her episode of Scenezoned, Globe Postpaid’s award-winning online video series that follows the journey of different personalities as they pursue ThePLAN —a unique personal goal—in each episode. Just like Solenn who fulfilled her plan and personal goal through art, Globe customers are also empowered to pursue their passions and to create the life they want with ThePLAN, the latest Globe Postpaid offer with larger than life data. Get to know more about ThePLAN at globe.com.ph/postpaid/theplan. 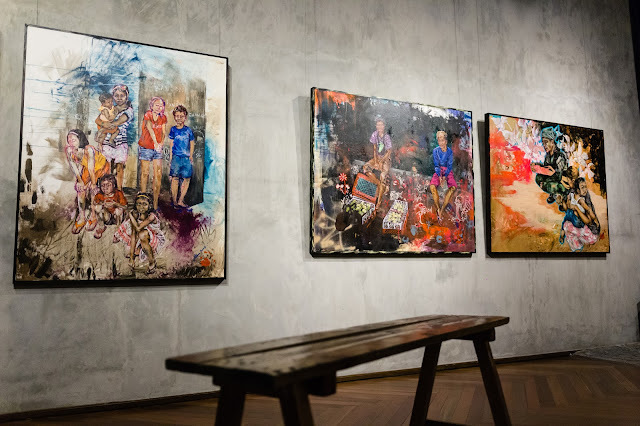 Art aficionados who wish to take home one of Heussaff’s work will contribute to a good cause. 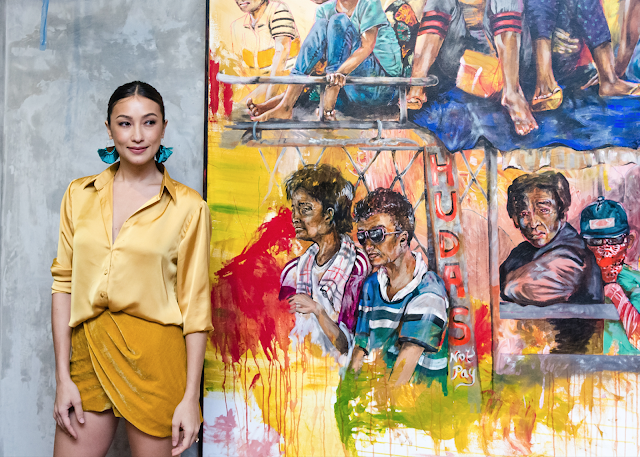 Heussaff will donate a portion of the sales of her paintings in “Kalsada” to Kalipay Negrense, a foundation that supports street children in Bacolod City. Kalsada will remain open to the public for free until Sunday, November 5. You may also watch the latest Scenezoned episodes on the official Globe YouTube channel, youtube.com/globeph.